Dieses Thema enthält 1 Antwort und 2 Teilnehmer. Es wurde zuletzt aktualisiert von George I1UP vor 1 Monat, 1 Woche. In order to receive the Grimeton SAQ transmissions I am using the Flex-1500 together an active whip antenna and the VLF-LF-MF band up-converter from Heros technology. Occasionally I use too my old Trio TS-830S working in parallel with the Flex radio for so the IF output of the VLF converter is derived to the antenna input of booth radios by means of a signal splitter device. 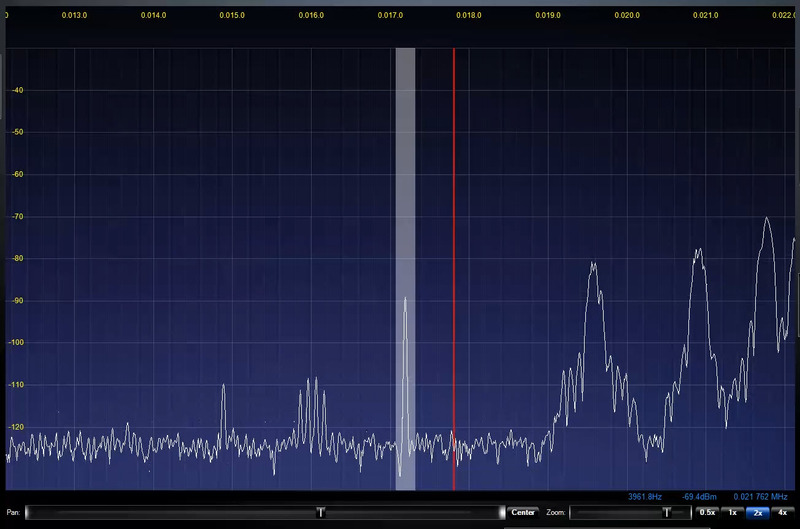 The system works fine on all the VLF to MF spectrum covered by the converter. I am using DATONG converter with a FT1000MP and using a HF Antenna normally used for trafic on HF bands.